The Frequency Clinic is designed to target serious and chronic physical and mental ailments for you and your loved ones. Mas selects different areas to work on each time according to what people come to him the most for in his private sessions, such as back pains, joint pains, depression, diabetes, and cancer. As Mas' private sessions become increasingly more difficult to book, Frequency Clinic is designed to meet the demand for sessions while providing frequent and affordable access to Mas. In addition, the power of the group energetically fuels the space to bring even faster and more powerful healing to each participant. The information, products and services provided in the Site and by the Company is for general interest in spirituality purposes only; nothing herein is intended or implied to serve as medical or therapeutic advice or treatment. Mr. Sajady is not a medical doctor nor does he diagnose any illness or prescribe medication of any kind. All modalities and treatments referred to by Mr. Sajady, the Company and the Site such as energy healing, vibrational re-alignment, and all other recommendations, techniques and materials are not to be construed as medical or psychological advice. Please do not use any information, treatments, services or products provided on the Site as a substitute for professional medical advice, diagnosis or treatment. If you have or suspect that you have a health or therapeutic issue, please consult a licensed doctor, therapist or counselor. By viewing this statement and using any products, services or information contained herein, you agree to our Disclaimer and agree to indemnify and hold harmless Mas Sajady, Mas Sajady Inc. and any employees/agents of the Company of any liabilities. The Frequency Chemo is a series of 7 Frequency Clinic sessions created for those who are in various stages of cancer, including the pre and post-cancer stages. Much like the chemo treatment, but on the frequency level, Mas will specifically work on eliminating the frequencies of cancer and its root causes from your blueprint, all the while working on lightening the physical, emotional and financial burdens for both the patients and their loved ones. The strength of the sessions will accumulate as your energetic makeup integrates with the results from previous sessions. After the Foundational Call, each of the Chemo Series calls can be listened in any order, as often as you like. GERD or acid reflux occurs when the stomach’s acidic liquid content backs up into the esophagus. This irritating condition can cause heartburn, chest pain and other complications such as coughing, asthma sinus issues, etc. In this frequency clinic, Mas will reprogram your spiritual blueprint to ignite your internal self-healing. Once the underlying frequencies have been deleted, you may feel naturally guided away from foods and triggers that exacerbate the issue and attract physical cures to bring in soothing relief. Acne occurs when secretions from the skin’s oil glands block pores. While often beginning during teenage years, acne can occur well into adulthood and while it is a skin disorder, its affects can be deep, impacting self-image, confidence and self-esteem. Join Mas in this illuminating and restorative frequency clinic where he will cleanse the spiritual root causes of acne, so that you may face the world with a fresh sense of self-assurance, confidence and clarity. Attention Deficit Disorder or Attention-Deficit Hyperactivity Disorder is being diagnosed at a greater percentage each year. But what is really behind the disorder? Whether for you or a loved one, join Mas as he addresses the true underlying frequencies of ADD/ADHD. In this frequency clinic he will remove the distortions causing inattention, impulsivity and hyperactivity, reestablishing behavioral balance, focus and equilibrium to life. This Frequency Clinic will serve as a spiritual antihistamine to help those with chronic or seasonal allergies. This Frequency Clinic is designed to alleviate the pain and symptoms of all types of arthritis, including joint pain, stiffness, inflammation and lack of mobility. See also Rheumatoid Arthritis. This Frequency Clinic is for back aches and pains, caused by traumas or illness, helping our bones, muscles and ligaments in our backs work together better. Bipolar disorder or manic depression is characterized by extreme mood swings that can last from days to months and can be extremely taxing on both the sufferer as well as family and loved ones. The highs or mania can include irritability, impulsiveness, reckless behavior and poor judgement while the lows can include symptoms such as sadness, indifference, lethargy and other traits of depression. In this frequency clinic, Mas will address the frequencies behind this chronic and disruptive mental illness. In this Frequency Clinic Mas will bring in frequencies to help restore and maintain strong bones and pain-free joints. This Frequency Clinic will help to improve issues including low bone density, osteoporosis, osteogenesis imperfecta, bone infections, joint inflammation, joint pain, tendinitis and other bone and joint diseases. Bunions, or bony bumps that form at the joint at the base of the toe. Bunions can be painful, unsightly and even restrict movement. In this frequency clinic, Mas will target the frequencies behind bunions as well as the associated pain, stiffness, redness and irritation, restoring balance, structure and comfort to your feed. See Frequency Chemo Series above or Skin Cancer. A naturally occurring type of yeast, Candida overgrowth is the most common cause of fungal infections and left unchecked can cause a wide range of mental, emotional and physical symptoms including but not limited to fatigue, digestive issues, irritability, anxiety & depression, lack of focus and strong cravings for sugar and refined carbohydrates. In this Frequency Clinic, Mas helps to restore a sense of balance to help rid Candida overgrowth as well as the ability to avoid the foods that may contribute, especially important during this indulgent time of year. It may surprise you to know that cholesterol itself isn't bad. In fact, cholesterol is just one of the many substances created and used by our bodies to keep us healthy. However, excess cholesterol can form plaque between layers of artery walls, making it harder for your heart to circulate blood. Plaque can break open and cause blood clots. 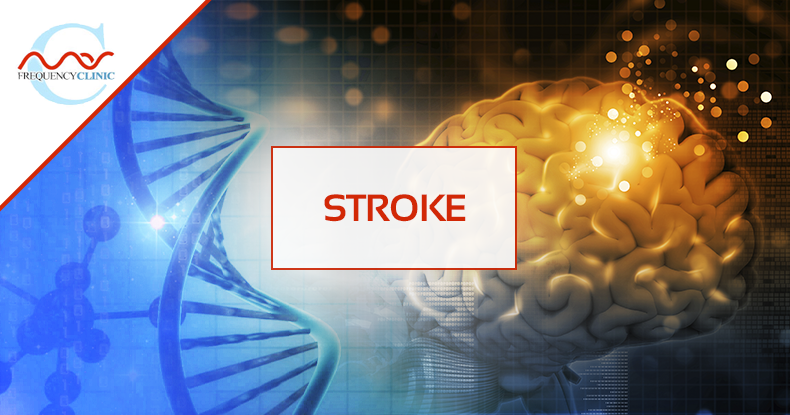 If a clot blocks an artery that feeds the brain, it causes a stroke. If it blocks an artery that feeds the heart, it causes a heart attack. Chronic Fatigue Syndrome or CFS is a debilitating condition effecting millions of people. Its hallmark symptom is extreme fatigue or exhaustion that does not improve with rest. Along with physical, chronic fatigue also has emotional implications as sufferers often shy away from daily and social activities and interactions. In this frequency clinic, Mas will help you shed the unbearable weight of chronic fatigue and rediscover life with energy, health, vitality and renewed invigoration. Circulation symptoms occur when blood flow to a part of your body is reduced, usually as a result of a narrowing of the arteries, the blood vessels that carry blood rich in oxygen to all parts of the body. 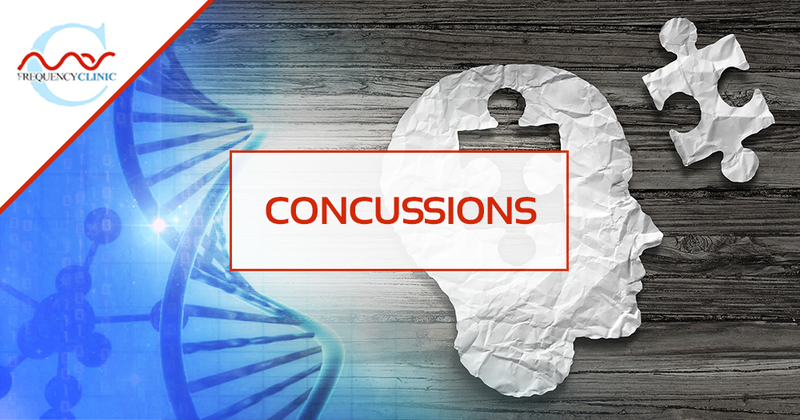 Circulation symptoms can occur in the head, arms, kidneys, stomach, and other organs. When blood flow to an organ is interrupted, especially over time, organ failure can result. Interruption of blood flow to the brain (stroke) or heart (heart attack) are serious causes of circulation symptoms. The legs are another common site for circulation symptoms. As the flow of blood is blocked or slowed significantly due to peripheral artery disease in the legs, you may feel pain, heaviness and numbness in your legs, especially during and after walking or climbing stairs, when your muscles need more blood and are not able to get enough. As the cold and flu season descends, join Mas in this Frequency Clinic where he will instill frequencies of a strong immune system to protect you from the proliferation of viruses and germs, as well as frequencies of health to overcome illness and maintain a state of vigor and strength. The colon or large intestine is an integral part of the digestive system that aids in the absorption of water and nutrients into the body. It is the home of billions of microflora that help produce both vitamins and antibodies. Colon health can have an impact on many things such as appetite, energy, hormone balance and even brain clarity. Join Mas for this frequency colon cleanse in which he will work on your spiritual blueprint to restore proper colon health and detoxification. For many, today's common nutritional habits can easily lead to unsympathetic, persistent cravings… especially cravings for yummy, starchy carbohydrates and sweet, sugary drinks and foods. Feeling victim to the whims and insistence of cravings can leave one feeling out of control and fatigued. Target the frequencies of food cravings in this Frequency Clinic where Mas will work with your higher consciousness to balance your brain and body chemistry and bring you into a natural state where you attract a healthy life balance to include the right exercise, sleep, and nutrient-dense foods. Learn to identify the patterns behind your cravings and connect to your highest self and Pure Source to integrate a space of completeness where cravings no longer hold power over you. This Frequency Clinic is for benefitting overall oral health. Washington University School of Medicine reports that, "Of the estimated 17.5 million Americans who are affected by some form of depression, 9.2 million have major or clinical depression. Two-thirds of people suffering from depression do not seek necessary treatment." This Frequency Clinic is for relieving the root causes and symptoms of depression so that you can step into a brighter side of life. This Frequency Clinic is focused on diabetes body care, including diet and issues affecting the eyes, feet, kidneys, etc. This Frequency Clinic focuses on ear health issues, such as balance, hearing, infections, etc. Those affected with eczema typically suffer from red, dry and itchy skin that can be both uncomfortable and unsightly. In this frequency clinic, Mas will calm the inflaming frequencies behind eczema, restoring spiritual balance and comfort to this irritating condition. Electromagnetic fields now fill our modern world at an unprecedented level, from our wifi and computers to cordless phones and cell towers. For many, these energies can be extremely debilitating and even deadly. Join us as Mas instills spiritual protection from the damaging and toxic effects of the technology that surrounds us, fortifying our resistance to harmful frequencies and leaving them powerless and unable to harm us. The Epstein Barr virus is part of the herpes virus family and is estimated to have infected over 90% of the world’s population. This ubiquitous virus is the cause of mononucleosis, is thought to be attributable to certain types of cancer and is believed by some to be related to many thyroid disorders, rheumatoid arthritis, lupus, fibromyalgia, multiple sclerosis and others. In this frequency clinic, Mas will address the spiritual frequencies of Epstein Barr, pinpoint dietary factors that may be irritating the disease as well as any contributing hereditary patterns. This clinic will help you to reconnect to your proper time frame for increased stability as you release the unwanted frequencies to come fully into the enjoyment of life. This Frequency Clinic focuses on eye health issues, helping improve visual clarity and comfort in the eyes. Flexibility is an essential element to a healthy life…both physically and mentally. In this vital and comprehensive medihealing, Mas will work to possibly help dispel the frequencies of rigidity and stiffness in mind and body, while bringing in those of limberness and ease, addressing improved range of motion and fluidity in all aspects of life. 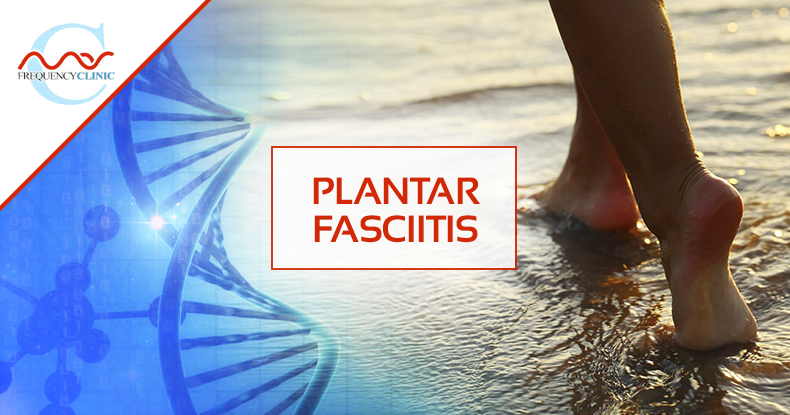 This frequency clinic will address all types of fungal disease and infections including athlete's foot, nail fungus, candidiasis, valley fever, swimmer's ear and others. Join Mas as he eradicates harmful fungus, restoring balance and wellbeing to your body and environment. This Frequency Clinic focuses on digestive health, as well as bringing in the ability to choose healthy foods. 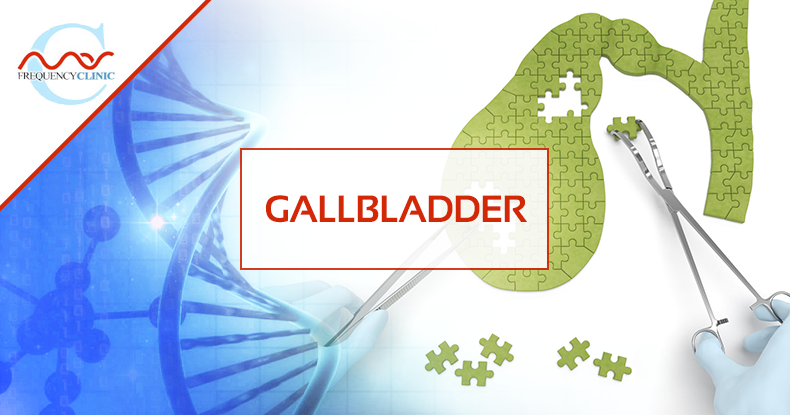 The gall bladder serves as a key component to the proper digestion of fats by storing and releasing bile produced by the liver. Problems with the gall bladder such as gallstones and inflammation can cause issues from pain to surgical removal of the organ. In this frequency clinic, Mas will work on the spiritual frequencies needed for healthy gall bladder function and digestive flow, as well as attracting a lifestyle and diet conducive for strength, well-being and vitality. Gluten is the protein found in wheat, barley and rye and it is theorized that the change in the processing of wheat has led to an increase in gluten intolerance. Gluten intolerance likely affects millions of individuals around the world whether from gluten sensitivities, wheat allergies, or the immune disorder, celiac disease. Physical issues include pain, bloating, depression, constipation, diarrhea and for some, long-term damage to the digestive system as well as many other symptoms. Join Mas in this Frequency Clinic to bring in new programming to help you naturally attract the right nutrition and beneficial supplements to alleviate pain and discomfort. Develop a higher-level guidance to avoid harmful foods and a balanced lifestyle. Collectively create inertia so we can initiate change in the food industry so healthier foods are prioritized and provided to the general population. Worldwide rates of HSV infection – counting both (HSV-1) and (HSV-2) – are between 65% and 90%. Although many people infected with HSV develop labial or genital lesions, the majority are either undiagnosed or display no physical symptoms. So if you don't personally need this healing, please hold the loving intention for people around you. Changing weather, hectic schedules, fatigue and stress can all contribute to maladies, colds and flus. In this invigorating frequency clinic, join Mas as he uses his abilities to adjust your spiritual blueprint in order to help boost your immune system to defend against illness and naturally guide you to beneficial foods, nutrients and remedies. As you resonate at higher frequencies, you can effortlessly release susceptibility to lower level difficulties and gain faster recovery that will help you to flourish and thrive as your most vibrant self. This Frequency Clinic is focused on getting you to sleep and keeping you asleep. When functioning properly, our intestinal walls serve to absorb and distribute valuable nutrients throughout the body. Leaky gut syndrome is the condition in which the intestinal walls become permeable, allowing toxins to escape. In this frequency clinic Mas will address the true underlying spiritual cause which may help to effortlessly enable a nourishing diet, improved nutrient absorption, decreased inflammation, balanced immune response, and a life of energy, health and wellbeing. The maximum amount of air a person can inhale and exhale in one breath is called vital capacity. This Frequency Clinic on Lungs is focused on increasing your vital capacity to it's highest possible amount. Lyme disease is transmitted to humans through tick bites. 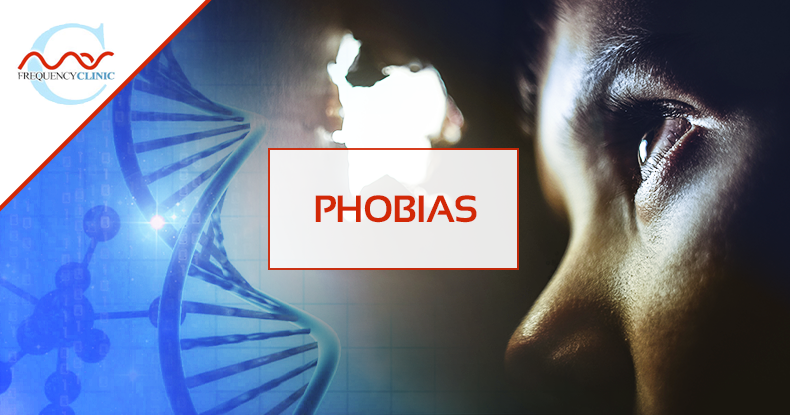 Characterized by redness, rash, fever and chills as well as headaches and fatigue, this illness can be serious. If left untreated, Lyme disease can eventually cause severe muscle and joint pain, inflammation and even spinal cord swelling and heart palpitations. Join Mas in this frequency clinic where he will connect with your higher consciousness to help you bring about self-healing so that you may cleanse the body of the Borrealia and receive relief from symptomatic pain. Once the underlying frequencies are removed, you will work to create new, protective frequencies and attract an effective physical cure that is right for you. The lymphatic system is an essential component of the immune system that helps to guard against infection, bacteria and cancer cells, aids in fat and fat-soluble nutrient absorption and maintains fluid balance. Join Mas as he provides spiritual fortification to this critical system for a robust immune response and vibrant health so that we may live life to its fullest. This Frequency Clinic focuses on improving memory and thought agility. This Frequency Clinic focuses on relieving chronic and acute headaches. Motion sickness is a common disruption in the inner ear that can cause an uncomfortable feeling of queasiness, dizziness and vomiting. This distressing ailment often hinders our ability to participate in or fully enjoy many enriching life experiences. Whether you or a loved one suffers from sea, air or car sickness, this frequency clinic will address the spiritual root cause of motion sickness, allowing you to embrace and revel in all that life has to offer. Our nervous system is both complex and critical to the proper mental and physical functioning of the entire human body. Comprised of nerves, neurons and electrical signals, our body's electrical system influences all essential functions such as our senses, movement, flight/flight response, blood pressure, and breathing to name a few. In this important Mas program, the underlying frequencies of the entire nervous system will be restored to harmony and balance, optimizing your physical experience and leading you to a life of greater emotional and physical health and well-being. This Frequency Clinic focuses on appetite control and bringing in a more loving and accepting outlook on one's body and ability to lose weight. Osteoporosis is a bone condition characterized by loss of bone tissue and low bone mass. This condition may lead to weakened and fragile bones that break or fracture easily. Join Mas in this Frequency Clinic where he will bring in vibrations of strong and healthy bones so that you continue to enjoy an active and comfortable lifestyle with a solid physical foundation. This Frequency Clinic is a general session for the relief of any kind of pain. Unpredictable in nature, panic attacks are characterized by uncomfortable symptoms such as shortness of breath, elevated heart rate, severe anxiety and dizziness. In this frequency clinic, Mas will erase the frequencies behind these terrifying episodes, bringing a sense of confidence, peace and serenity. 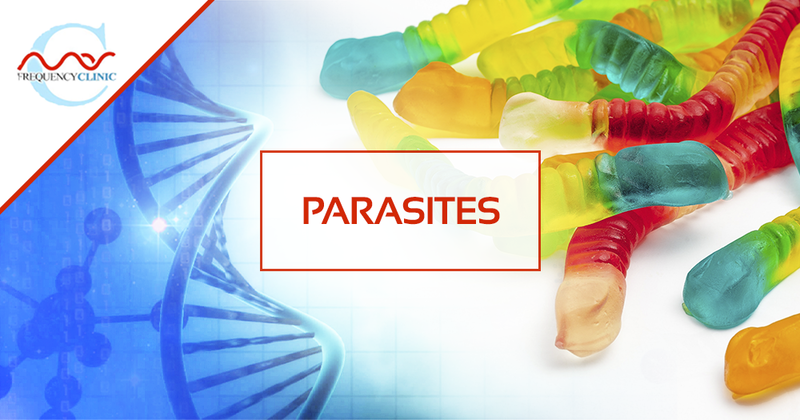 Parasites, or organisms that live on or in a host and benefit from its resources, are common and prevalent throughout the world and often go undetected. Parasitic infections can cause symptoms ranging from stomach upset, fatigue, irritability, insomnia, and anemia to muscle aches, skin irritations and depression. Join Mas in this cleansing frequency clinic where he will work with your frequency blueprint to naturally avoid infected foods and substances, attracted any necessary cures and replenish nutrients to live as your most vibrant and thriving self. A healing for men, this frequency clinic is focused on all aspects of prostate health. Studies show that eight out of ten men will develop an enlarged prostate, a small gland in the male reproductive system. This frequency clinic may be used directly or to “bring in” anyone who may benefit from the prevention of or relief from all symptoms involving the prostate including enlargement, inflammation, infection and cancer. 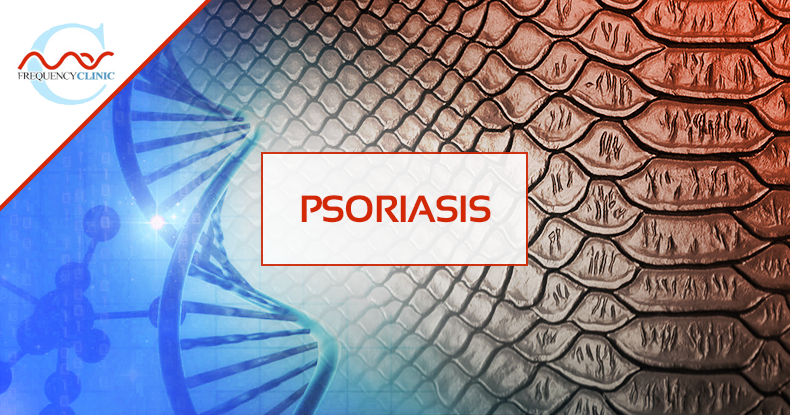 This chronic skin condition causes thick, red and scaly skin patches on the body, often resulting in a diminished quality of life both mentally and physically. In this freeing frequency clinic, Mas will help you to release any physical uneasiness and emotional embarrassment associated with the condition and recognize any foods or toxins that may contribute to the inflammation. By working on your spiritual frequency blueprint, Mas may help you to feel relief and balance, restoring the skin’s natural radiance and allowing for the cleansing space in which to experience the brilliance of your truest self. Mas Sajady is not a doctor and makes no medical claims. By registering for this product you agree to our disclaimer. Rheumatoid arthritis is a debilitating autoimmune disease that affects millions of people, limiting their range of motion and causing severe joint pain, swelling and even deformity. Join Mas as he addresses the root cause of this inflammatory disorder, easing the restrictive pain and restoring health and vitality. 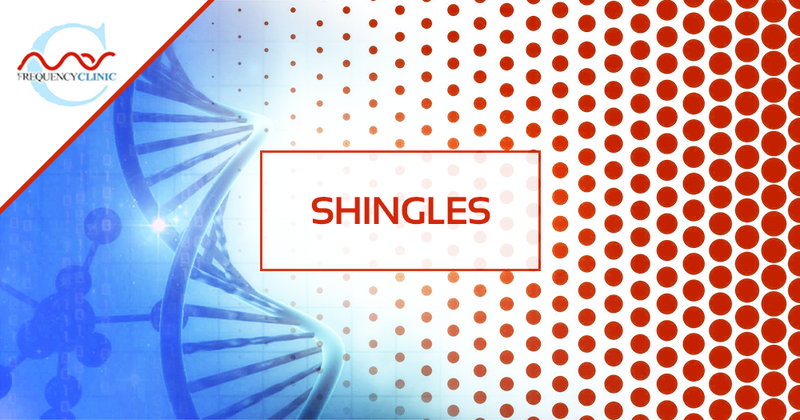 Shingles is a rash caused by the virus (varicella-zoster) that lays dormant after you have contracted chickenpox. The virus can be reactivated by stress, age, or a weakened immune system. Shingles causes a painful, angry rash with blisters that can result in shooting pains, fever, chills, headache, and an upset stomach. This Frequency Clinic will work to target programming that has allowed the viral flare-up and help bring the right opportunity for treatment and relief from the pain, fever, fatigue and discomfort. Ubiquitous in nature, skin cancer is the most common type of cancer with rates that are rising and left unchecked it can be deadly. In addition to targeting the underlying frequencies of all types of skin cancer including basal cell, squamous cell and melanoma, this frequency clinic will also help to prevent and protect you or those you love against the onset of skin cancer. 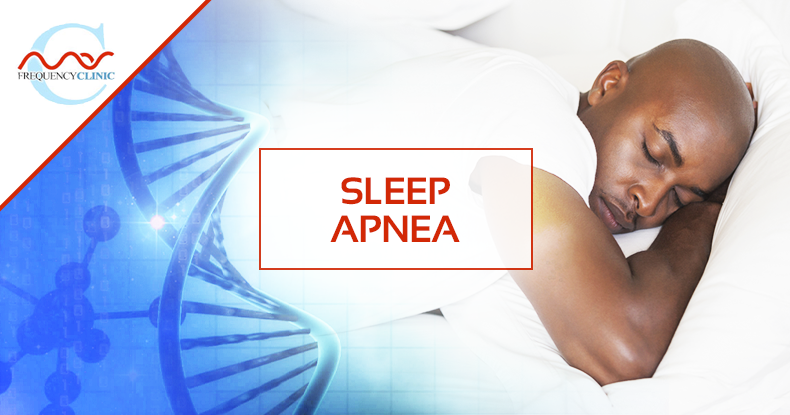 Individuals suffering from sleep apnea experience interrupted breathing during sleep which can last anywhere from 10-20 seconds per episode, causing them to spend more time in shallow levels of sleep. This can result in a host of secondary issues including fatigue, lack of concentration, and even high blood pressure, stroke or congestive heart failure. Join Mas as he restores balanced breathing during sleep, bringing healing, recuperative and uninterrupted rest to those afflicted with this issue. See also Snoring. From an annoyance to you and loved ones to the possible sign of a serious health condition, snoring can be disruptive and debilitating. In this frequency clinic, join Mas as he addresses the root frequencies underlying snoring, restoring the path to restful, rejuvenating and peaceful sleep while eliciting relief and unending appreciation from your sleep mates. See also Sleep Apnea. Sufferers of social anxiety have an overbearing fear of judgement and criticism and can often feel embarrassed, inadequate and depressed as they avoid healthy interaction with others. In this frequency clinic, allow Mas to unshackle you or your loved ones from the binding chains of social anxiety and the associated distorted thinking, freeing you of its restrictive grasp and allowing you to fully enjoy the endless possibilities and opportunities that await. See also Anxiety. Stress is a mental, physical or emotional state of tension. When we experience stress, our body is put into a "fight or flight” response which triggers reactions in our neurologic and endocrinological systems. 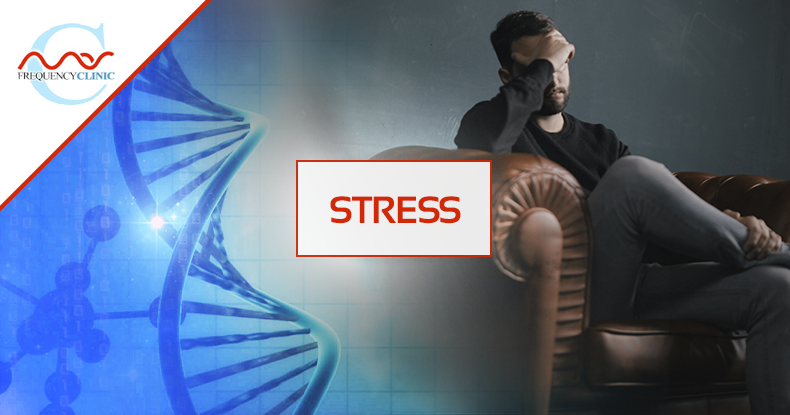 Stress can be productive by helping us to avoid danger or assist by motivating us but when it is chronic or out of balance in our lives it can cause a myriad of different conditions including depression, anxiety, and a host of physical ailments such as high blood pressure, suppressed immune system, and digestive issues. For many of us, today's high-pressured environment keeps us in a state of stress that can hinder a fulfilling life. Join Mas in this Frequency Clinic where he will help you remove the frequencies of stress so that you can exhale, relax, and come into a natural state of calm and grace that will facilitate a more vibrant, peaceful and healthy existence. Sometimes this life and our circumstances can feel so overwhelming. Has darkness wrapped itself around you? Do you feel helpless or even a desire to bring this lifetime to an end? You are not alone. Please find some resources here to help you explore this sadness and despair. This Frequency Clinic is focused on bringing the thyroid and hormonal levels into balance. See also Hormones. The painful effects of problems with the temporomandibular joint (TMJ) can be passed down through genetics or can develop over time as a result of stress or injury. The pain can affect the jaw muscles and joints, ears, head, neck and face, making it difficult for some to speak or even eat. This frequency clinic will address the underlying frequencies behind all temporomandibular disorders (TMD) including teeth grinding and clenching, slipped disc, stress, jaw clicking and popping, swelling and pain.